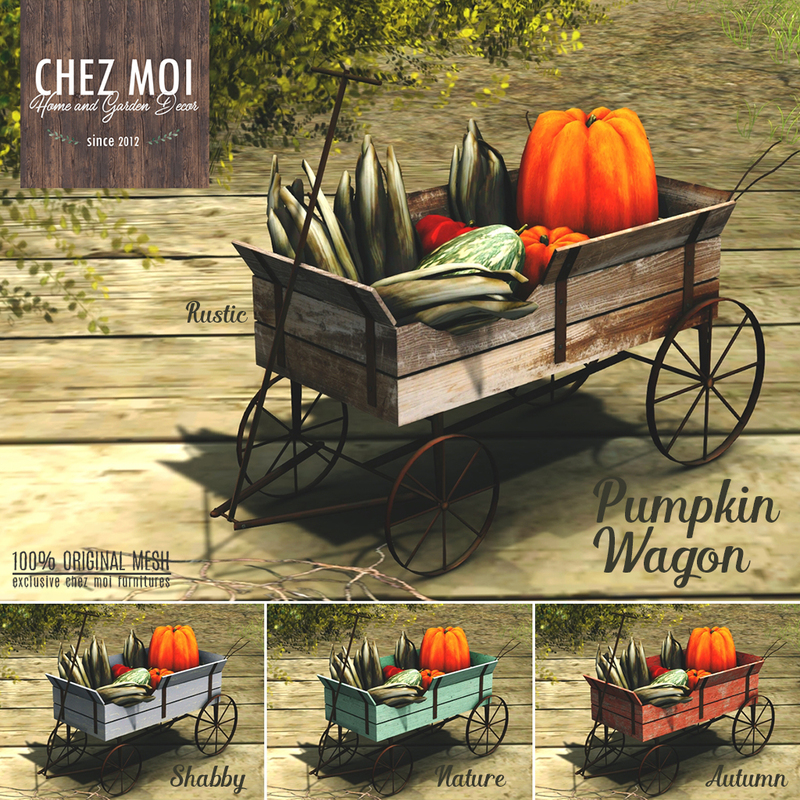 Whimsical Wagon for Fall Decoration! 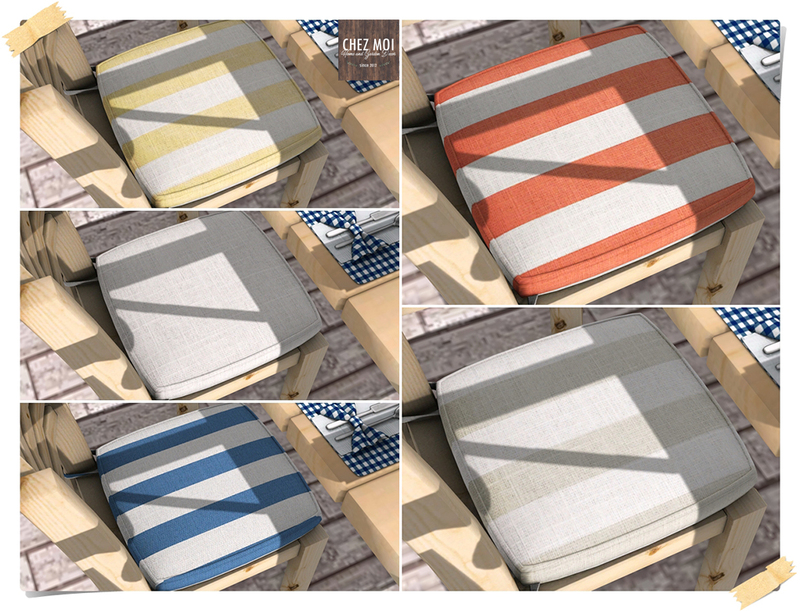 Four colors available for sale: Autumn (Orange), Nature (Green), Rustic (Wood) and Shabby (Light Blue). 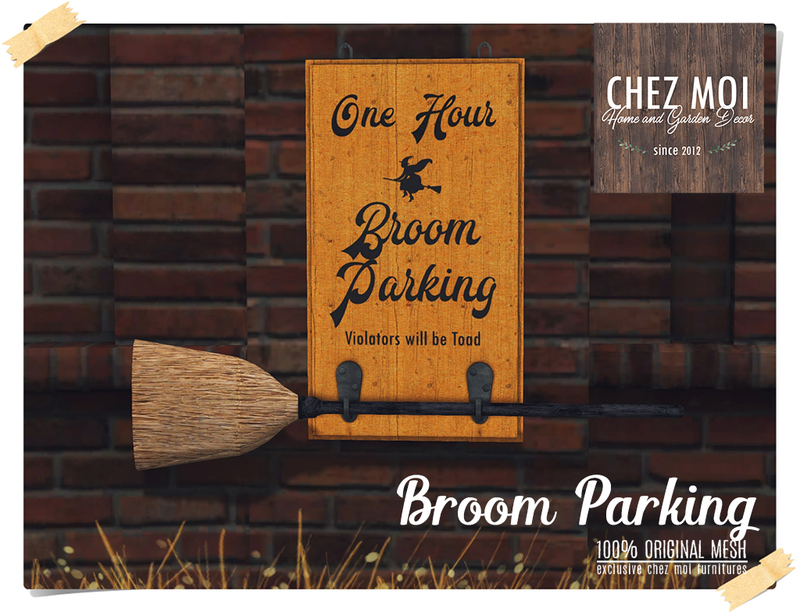 These wagons are available at CHEZ MOI MARKETPLACE or visit our IN-WORLD STORE for a closer look. 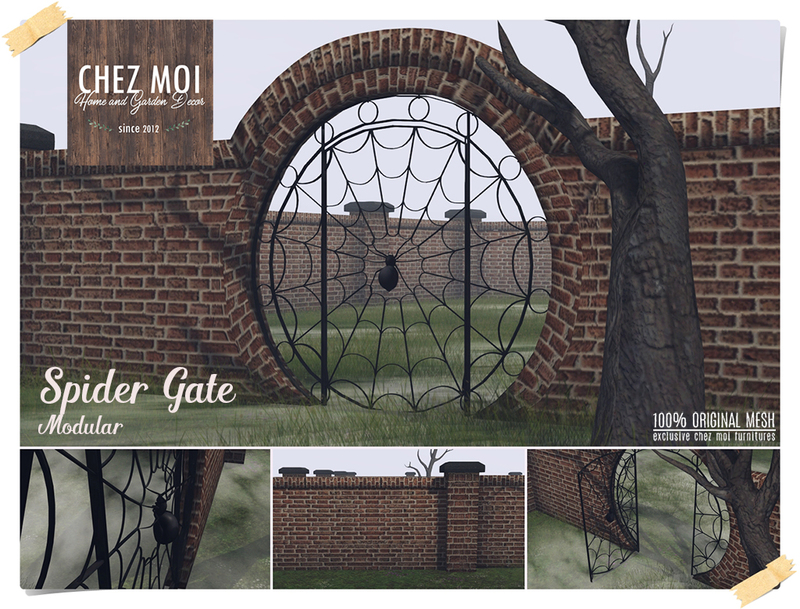 This spooky Spider Gate is perfect for any scary scene. 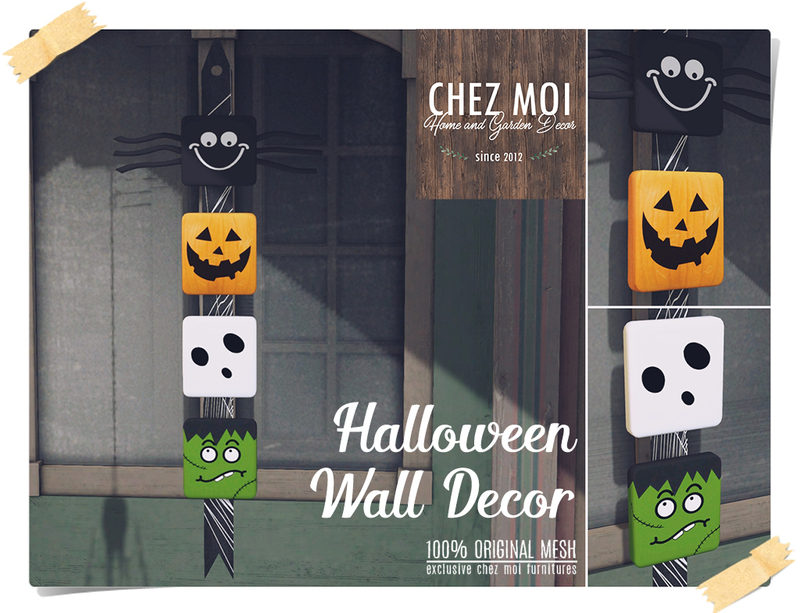 The walls building pack comes with an iron gate + straight wall + post. 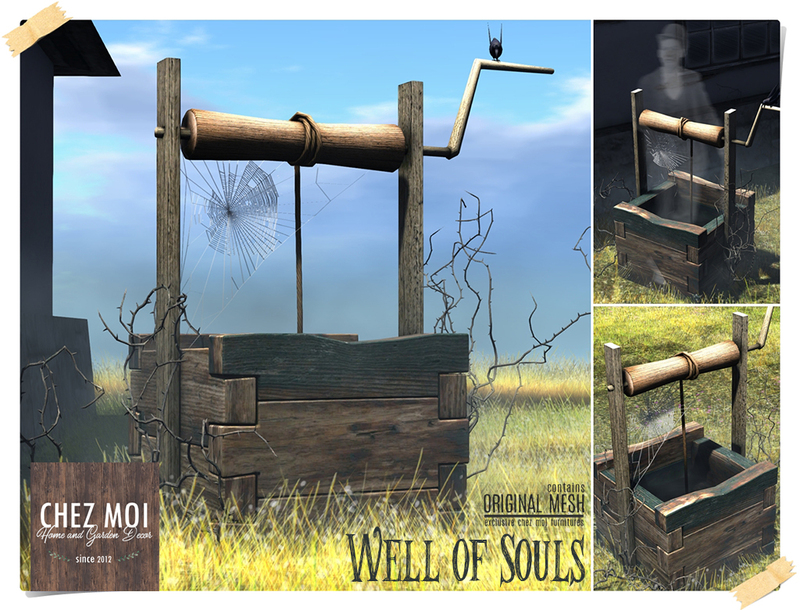 Posts, walls, and gates are modifiable and modular. 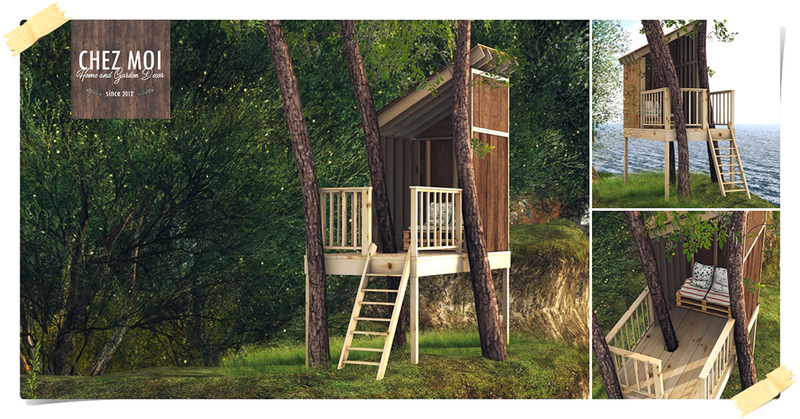 How about spending a wonderful time with your friends in this amazing and comfortable Tree House? 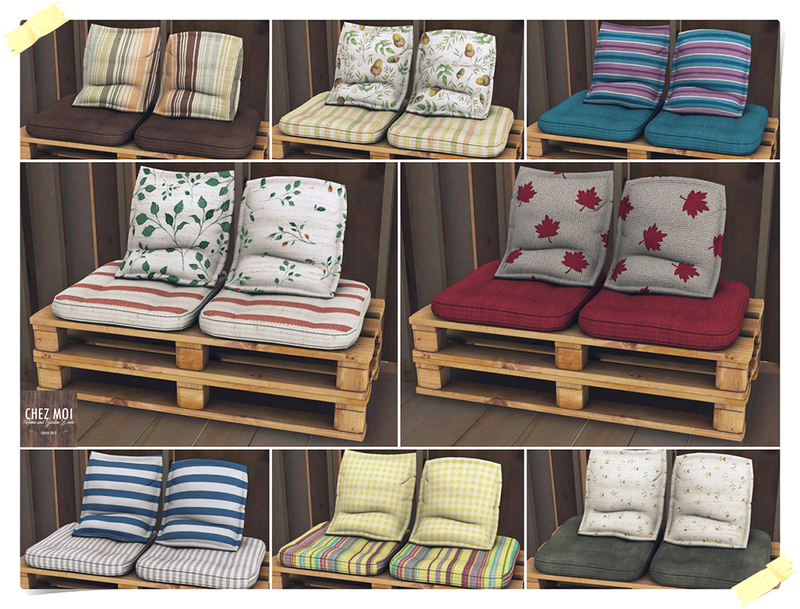 ♥ Texture change options: Touch the cushion to display 8 options of textures to choose. 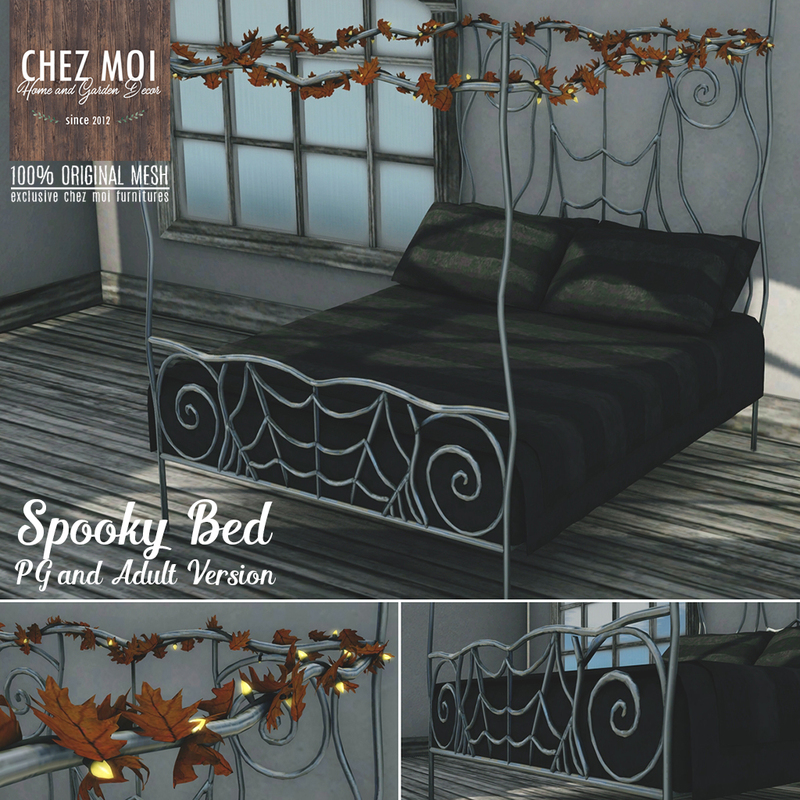 This bed is a great fit for the Halloween Season! 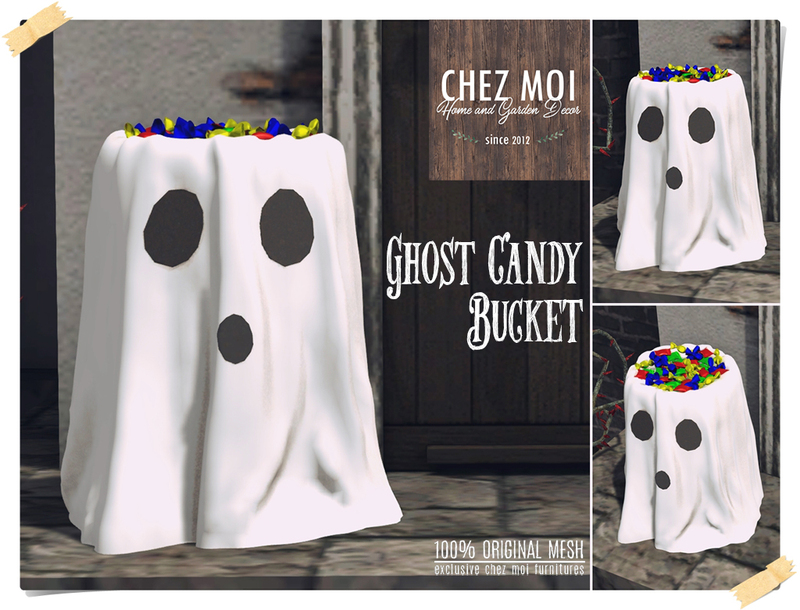 This release available on CHEZ MOI MARKETPLACE, or visit our IN-WORLD STORE for a closer look. 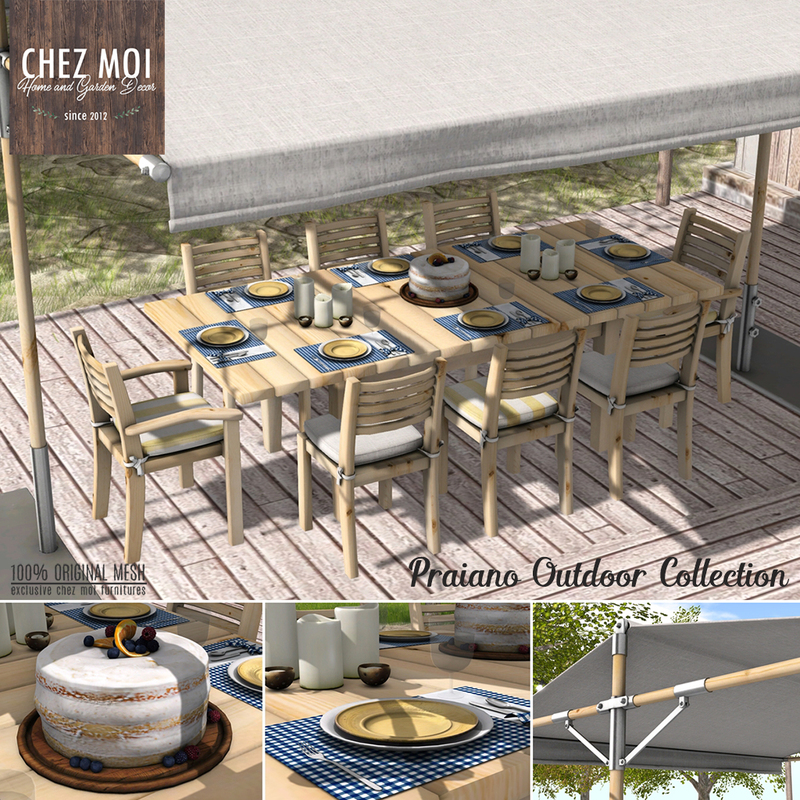 This outdoor patio set, coastal style, is a warm and welcoming addition to your garden. 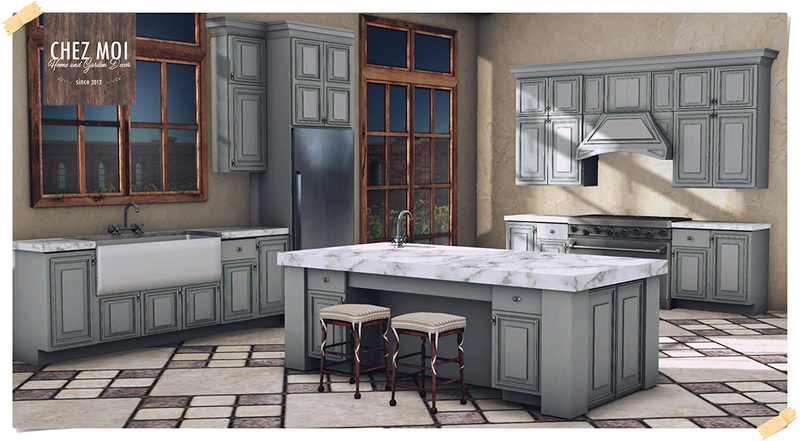 Everyone wants to be in the kitchen, the heart of a home, so let’s make it spacious. This cozy Southern-style kitchen has enough room for all your guests. 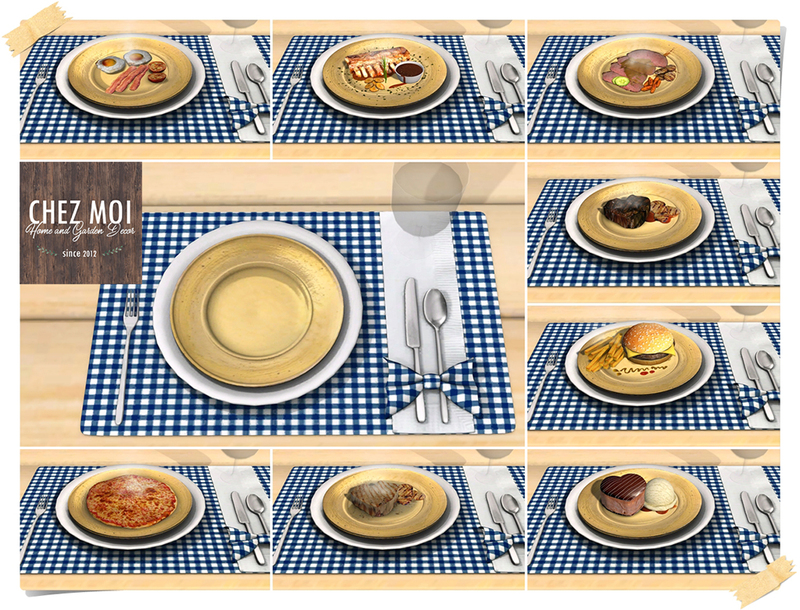 Tap the stove button to display the decor menu. Each charming stool has16 single poses (female and male). 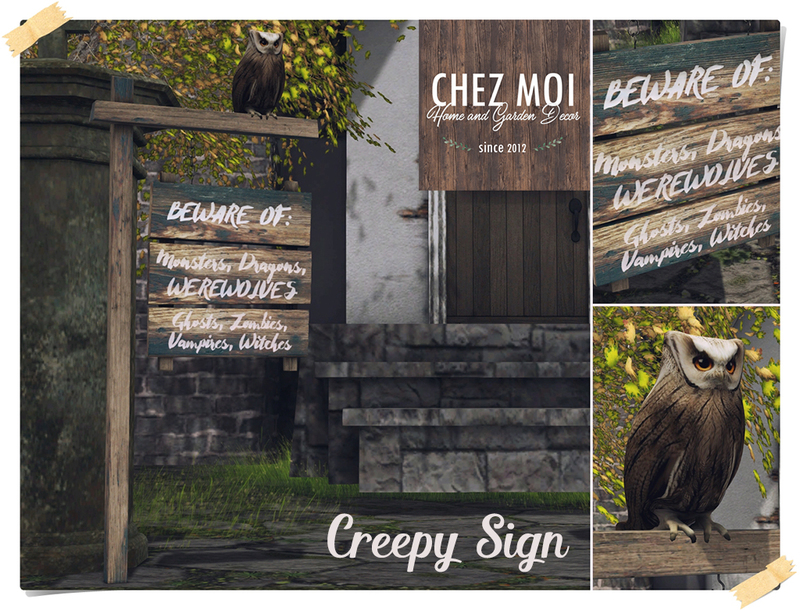 For this Halloween, a new magical and spooky place has arisen at CHEZ MOI! 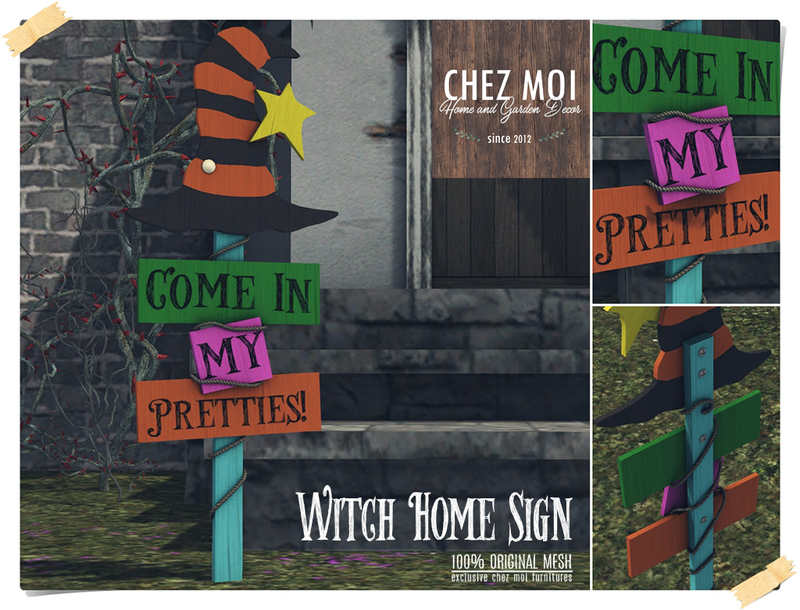 Visit our Hocus Pocus Village and check out our new releases for the Halloween Season.